U by Uniworld, river cruises for ages 21-45. Those heading to the Peabody Essex Museum’s stunning new exhibit, Georgia O’Keeffe: Art, Image, Style ( www.pem.org/exhibitions/georgia-okeeffe-art-image-style ), will want to check out a special “stay-and-view” hotel package offered by The Merchant. The former home of prominent sea merchant, the boutique hotel’s 11 luxury guest rooms — inspired by Salem’s longtime history as a trading port — are a short walk to the museum. For an additional $50 added to any reservation, the guests receive two entry tickets to the museum (valid for any day of the year, including entry into the special O’Keeffe exhibition); Georgia O’Keeffe adult coloring book; and package of colored pencils. To book this deal call The Merchant directly and mention the Georgia O’Keeffe package, or enter PEM in the “Notes and special requests” field when booking online. Available through April 1. Rates from $149. 978-745-8100, www.themerchantsalem.com/specials. If you think that river cruises are exclusive to old fuddy duddys, think again. 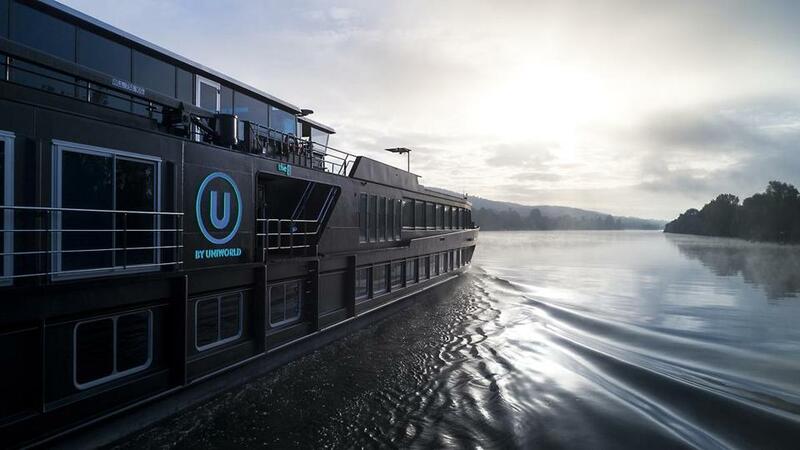 U by Uniworld is debuting river cruises exclusively for travelers between the ages of 21 and 45. Two jet-black ships, simply named The A and The B, sail through France, Germany, Austria, Slovakia, The Netherlands, and Hungary along the Danube, Seine and Rhine rivers. What makes these different from other celebrated cruises? The activity packed and culturally immersive adventures and excursions include everything from mountain biking to pub crawls to blokarting on the beach. (If you need to Google “blokart,” you’re probably too old for the cruise.) In addition, local entertainment and onboard programming is curated for a younger crowd with complimentary Wi-Fi, silent discos, rooftop yoga, and more. Eight-day cruises from $1,519. Five-day Christmas cruise from $1,099. 800-883-8785, www.ubyuniworld.com/us. Three cheers for the Florida Keys, rebounding and rebuilding from the destruction caused by Hurricane Irma last September. In Islamorada, midway between Miami and Key West, The Moorings Village is once again open and accepting reservations. One-, two-, and three-bedroom villas (with living rooms, dining rooms, and kitchens) are nestled within this former coconut plantation’s 18 beachfront acres. Amenities include 25-meter lap pool, tennis court, fitness center and spa, as well as paddleboards, kayaks, and bikes. Rates from $599. 305-664-4708, themooringsvillage.com. In Key West, take advantage of smaller crowds and added value at Hyatt Centric Key West Resort & Spa where recently unveiled enhancements include a rebuilt sun dock event area, new boat slips, updated landscaping, and more. Rates from $469. 305-809-1234, keywest.centric.hyatt.com/en/hotel/home.html.